Best known as the Emmy-nominated makers of “Long Hard Times to Come,” the theme song to the hit FX drama, Justified, Gangstagrass is back with American Music, the 4th installment of bluegrass/hip-hop released through the Rench Audio Label. Performed with real hip-hop MCs, real bluegrass instrumentalists and produced by lead singer/ guitarist Rench — who Rolling Stone Magazine named “10 New Country Artists You Need to Know: April 2017” — American Music contains 14 cuts of both original and traditional music with a twist. After 3 independent releases, American Music is the first Gangstagrass LP that has charted on Billboard, a feat done without any label assistance (#5 Billboard bluegrass charts for 3 weeks.) With a new live album in the works for a potential late 2018 release, Gangstagrass will continue in its uncompromising effort to make music that is both authentic and unpretentious — and family friendly, when requested, that is. 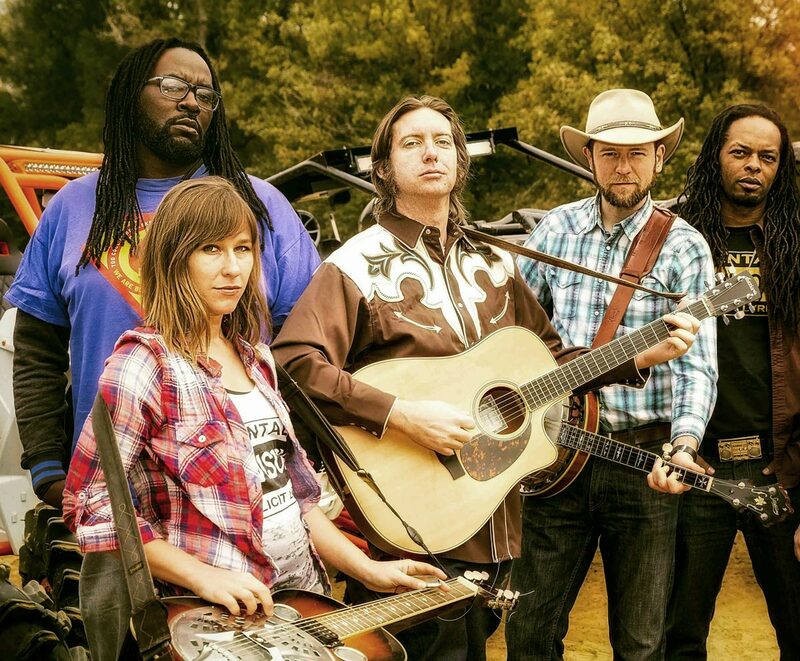 Not only has Gangstagrass been on the forefront of the burgeoning genre sometimes known as “Hick-Hop”, they clearly blazed the trail, according to Rolling Stone! http://rol.st/1sXYMAw Gangstagrass come by it honestly: Rench, mastermind of the group, was schooled on Run DMC and break dancing while he was fed a steady diet of authentic country sounds like Willie Nelson and Johnny Cash.